There are several manners on how you can purchase a property, each with their own benefits and weak points. One can either buy the property under his/her own name, under the name of an LLC, or under a land trust. When it comes to owning a real estate property, there are several types of property ownership. First, the buyer can have that property listed under a personal name. This type of property ownership provides the owner the security of owning his/her own property, but they also carry the burden, if there is any, personally. Second, the buyer can purchase a property and place the title under the name of a Limited Liability Company or LLC, especially if you want to reap the benefits afforded with owning a property without being held personally liable for any untoward incidents. Lastly, the buyer has an option of a land trust ownership agreement as a beneficiary and the buyer appoints a trustee to manage the affairs of the said property. One of the most popular types of home ownership is listing it under an individual’s own name, since homes are one of the initial properties that most people begin investing in. Since residential homes and apartments are listed under a specific person's name, the related cost of this purchase is also shouldered by the owner. There are several taxation benefits across several US States that caters to those who owns a house that is listed under their name. You can claim for a tax reduction on your income tax by filing for a property tax exemption or an income tax deduction. If the property is listed under your name, there is no threat of possible eviction. It also provides stability in terms of security that is rooted from your home ownership. Moreover, there is more financial predictability when it comes to the housing costs that are incurred regularly and consistently. It also allows the owner to have a better credit rating since you have ownership of a real estate property. A real estate property is an investment whose benefits are mostly long-term. It is not a very liquid investment, but the value of a real estate property appreciates over time. Homeowners also have a chance to build their equity consistently. As the mortgage decreases, the equity increases and you are even more likely to add to the home’s equity by adding improvements around the house and renting out the home to potential renters. If the property ownership is listed under your name, you are required to shoulder all the cost related to the purchase of the property. Apart from the cost related to the purchase of the property, there are also costs related to owning the property such as the insurance, improvements, repairs, and maintenance. Another cost that is not usually considered by buyers is the cost related to the improving and fixing your home. The cost for purchasing a house under your name is not a one-time expense, but a continuous project that needs financial investment. Each real estate property is subjected to wear and tear. Over the years of use, the depreciation of the property increases and it can eventually reduce the value of the home. As the equity increases, the depreciation also increases, which can slightly affect the value of one’s house. This means that there is a possibility that one can incur financial losses from the purchase of a property. A Limited Liability Company is a cross between a partnership and a corporation. They are not legally required to comply with all the requirements necessitated from a company, but the proprietors of an LLC are also not legally bound to personally shoulder any of the company’s liabilities. Moreover, one of the benefits enjoyed by an LLC is that it is legally allowed to purchase properties under the company’s name. When it comes to taxation purposes of this type of property ownership, a Limited Liability Company is not separate from its owners. It is subjected to a pass-through entity, which means that the tax reflected on the business owners’ tax returns passes through the individual income tax code. The income or loss is given directly to the owner and the tax can be paid later on as an individual, all this while still being protected by the LLC. If you purchase a property under a Limited Liability Company, the insurance is also listed under the name of the LLC. Therefore, if there are any accidents that occur within your site, you are not legally bound to take charge of any of the costs related to that incident and you are also safe from any incidental lawsuit relating to that event. Forming an LLC for the purpose of buying a property may not be as troublesome as forming a corporation, but it is certainly more tedious than forming a partnership for joint ownership. However, these types of property ownership provides a certain protection against personal liabilities and it is still an appealing advantage when you look at it from a much larger perspective. Those who have invested in an LLC tends to believe that the protection they are afforded is an ultimate guarantee in which the only possible loss that they can incur is the amount of their investment. However, once you have violated the statutory requirements of an LLC, there is a possibility that you will be held liable for an amount that is beyond your investment and your liability shield might be compromised. Example: A fire broke around your property and the property insurance could not cover the incidental costs. The victims of the fire chose to seek your company since the fire broke out due to faulty wirings. The LLC still has funding on their account, but you chose to divide the money among the owners as part of their profit before paying out the victims of the fire. If the courts found out that you have prioritized your personal gains over the company’s liabilities, there is a chance that the remuneration of the fire victims can be charged to your personal account. Most affairs that are involved under the land trust agreements are not divulged. Therefore, the costs related to this transaction are comparatively lower compared to other property ownership types. Since the beneficial interest is only a personal property, you avoid other forms of taxation, such as transfer taxes and the property will not be assessed further for additional taxable values. However, you cannot claim any tax benefits when you purchase the property using a land trust ownership. The name of the beneficiary is not listed on the title, so the trustee bears the task of managing the affairs of the property. The sales price is also considered private, since you can only choose to sell your beneficial interest in the property. If you are the type of person who does not want to disclose your personal and business affairs, the land trust ownership agreement is perfectly suited for you. 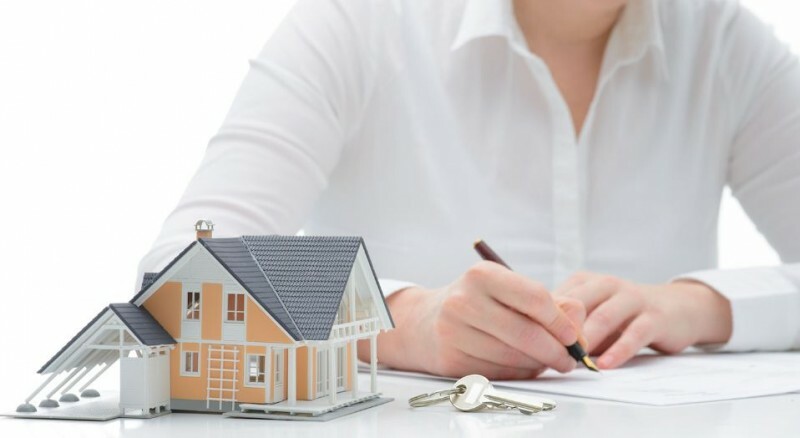 Since the trustee is the person responsible for the transactions that is involved with the property, there is already an appointed person to handle the affairs of the aforementioned property. At a minimal administration fee, there is someone that handles and signs all of the legal documents relating to the property. In addition to this, there is no need to notarize the documents since it is purchased under a land trust ownership agreement. The privacy that is entailed from purchasing property through a land trust ownership agreement has made others believe that it is an easy avenue to commit fraud. Since the name of the real owner per se is not listed, it weakens their credit rating. Therefore, creditors might find it hard to go after you since your ownership of this property is not listed. Land trust is legal everywhere. However, there are certain US States without a specified legal statute in the process of owning and regulating a land trust. If there are questions regarding the legalities of the land trust transaction in these states, they are interpreted using common law which means that a court ruling is heard or it is based on a precedent case. Finally, there are also sites that allow you to search property ownership records for free such as Assessor and Property Tax Records Resources. There are also several US states that offer access to online assessment records which can be searched by property address, property ID number and the name of the owner. Moreover, there are also online sites that provide information on unlisted homes. You can try clicking this link for further data. Interesting... i'll save this to keep it in mind.